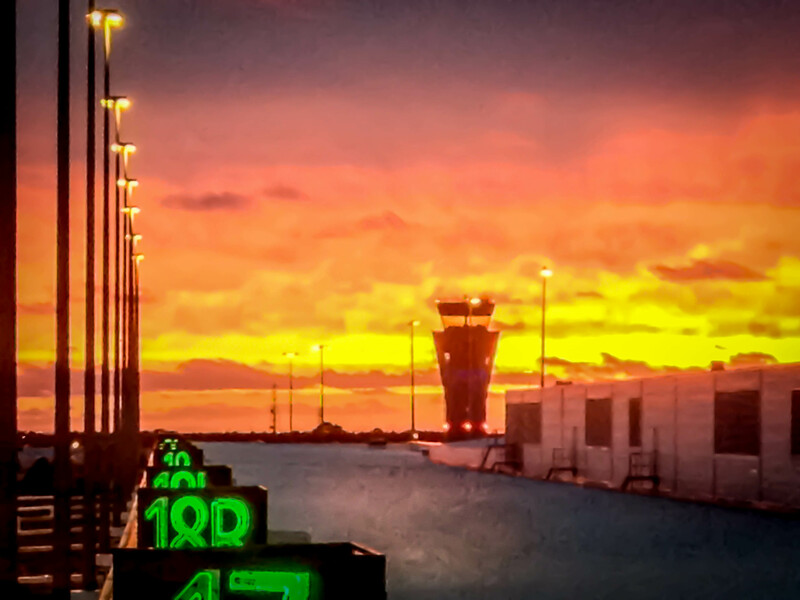 Looking out of my Office Window Tonight towards the Control Tower and the Sky was on Fire. I had to snap a quick shot with my Iphone hence it has a bit of noise. The colours where just stunning though. This entry was posted in Photography and tagged Adelaide, Aiport, Cloud, colour, Lightroom, Night, Photography, South Australia. Bookmark the permalink. Noise is good and I can only imagine it in this frame. Beautiful Mike!